Customers can be assigned semi-permanently to a specific Sales Representative. This means that all future orders from that customer, whether entered in the frontend or backend, will be credited to the sales rep they are assigned, until changed by an Admin or Manager with sufficient permissions. If a rep inputs an order for a customer that is not his own, he will not have the ability to assign himself as the commission earner, unless he has been given the appropriate permissions. If a representative creates a new customer from the backend, he will automatically be assigned as the representative for that customer. This can be changed by an Admin or Manager with appropriate permissions. Repeat for each of the customers you wish to assign. 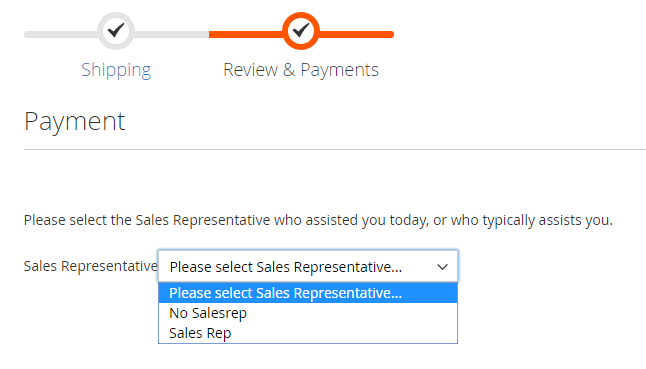 Any customer that has already been assigned to a sales representative will not see the checkout selector or checkout step on the front end of the website. 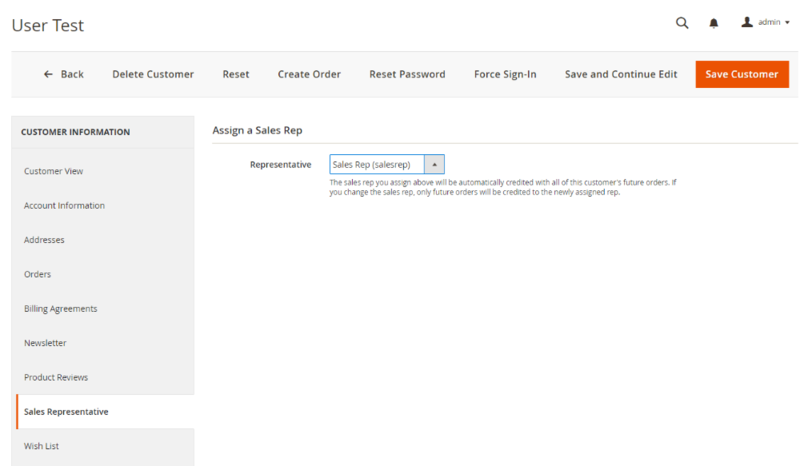 If a customer without a rep creates an order on the front-end of the site where the front-end selector has been enabled (check Configuration article), his choice of rep will be not be assigned to his account automatically. This is to allow customers to be served by multiple reps in the future. Assigned representatives can be changed by an Admin or Manager with appropriate permissions, using the same process as manually-assigning a representative for the first time. Once the representative is changed, the manager will also be changed to coincide with the manager of the newly-assigned rep. Furthermore, all previous orders will remain unchanged, and will still be credited to the rep that served the customer at the time of placement.